Getting a Provisional Driving Licence is the first step to learning to drive. 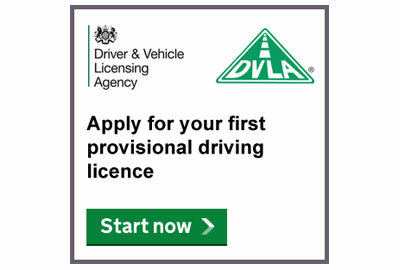 You can apply for the Provisional Licence online if you have a valid UK Passport. Before you can start learning to drive, you must have a provisional driving licence, apply for your first provisional driving license for a moped, motorbike or car, this can be done 3 months before your 17th birthday. You can apply online at DirectGov Website Please have the following to hand: a valid debit or credit card to pay £34, have your National Insurance number if known, your UK passport no more than five years old and you won’t have to provide a photo and details of previous addresses. Online is quicker and cheaper than with a postal application Your driving licence should arrive within one week if you apply online. 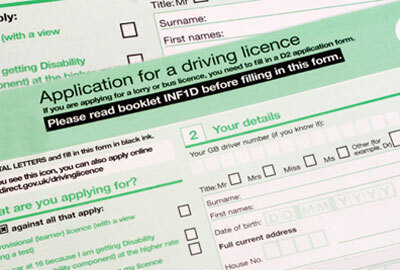 Complete a D1 Application for a Provisional Driving Licence which can be obtained from any large Post Office. Alternatively, go online to the DVLA form ordering service and have the D1 Form sent in the post. Complete and return your application to DVLA, you will need to include a colour passport-style photograph photo for your photo card, A postal application for the driving licence will be £43. The licence should arrive within 3 weeks.